Usually, many homeowners take their air conditioners for granted. They turn it on and enjoy the cool, refreshing air that it provides. As long as the HVAC units provides comfortable levels of cooling, it will not merit much attention from the homeowners. But, when the unit starts malfunctioning, it invariably gets all the attention that it should have received much earlier. Malfunctioning air conditioners might require new air con spare parts to replace the damaged and worn-out ones. However, this might not always be the case. To ascertain this, homeowners will need to perform preventative checks regularly. In some cases, the problem might have a simple solution, which you could well handle by yourself. If you suddenly find that your house is too hot or too cold, consider checking the HVAC equipment. In many cases, a broken thermostat could be the cause for this. Resolving this situation is both simple and inexpensive. Suppliers of air con spare parts in your neighbourhood will usually stock an enviable range of thermostats for all leading air-conditioning models. By sharing the details of the model, you could easily get a new thermostat. However, ensure that your thermostat is malfunctioning or has broken before you make your purchase. Filters full of dirt and dust will hardly facilitate the proper movement of air within the HVAC system. Only once these filters are clean will your unit function properly. It is worth mentioning that your air conditioner will continue to function with dirty filters. But, it will consume more power as it works harder to keep the space cool. Neglecting to clean your filters will make the components in your air conditioner age and wear out prematurely. 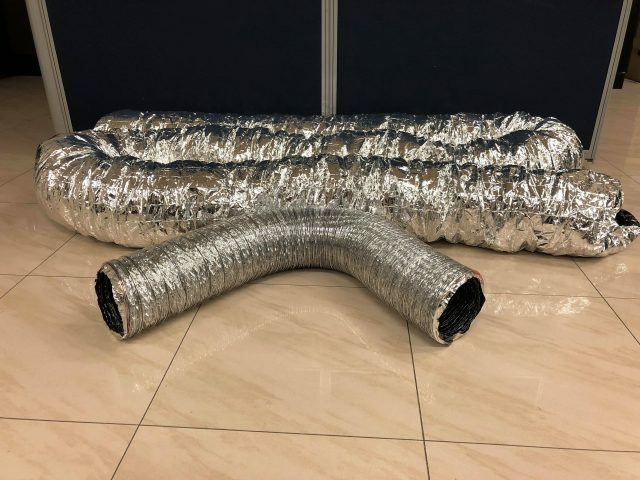 This will necessitate visiting the local pipe insulation suppliers for obtaining authentic replacements. You should change your filters once each month during seasons of high use. Similarly, change the filters on a quarterly basis during the rest of the year. Some people start panicking once they find their HVAC units unresponsive. But, in many cases, a tripped breaker is the cause of this concern. Check the breaker panel and flip the breaker back to the ‘on’ position. Unless the system has another issue, it should respond immediately. However, it is possible that the breaker might continue to trip. In this scenario, don’t just purchase any air con spare parts blindly. Instead, consult a professional to ascertain the reasons behind the problem and provide a permanent resolution. Occasionally, a leaking refrigerant could affect the functioning of your HVAC unit as well. AirTag is one of the top distributors of air conditioning products in Australia. We are a leading pipe insulation supplier too. We offer a comprehensive range of products to suit any contemporary air conditioning and insulation systems. Since 1997, we have been using our expertise and experience to provide top products to our clients. Check out our product catalogue for more information.